Are you or a loved one struggling with a drug addiction? You’re not alone. Over 20 million Americans regularly use or are addicted to, drugs. Your interest in rehab is already a positive first step. Entering into a program can be a life-changing decision. With that, can come the fear of the unknown. We’ve laid out 12 tips, all about recovery, that can help you prepare for rehab and know what to expect. It goes without saying that you’ll want to thoroughly research any rehab you plan to enter. If you’re not in a position to do this, ask a family member or friend to do the legwork. Many programs offer targeted treatment for specific drug use. The type of detox and recovery path you’ll be taking will vary, for example, if you’re abusing opioids as opposed to a sedative. The more targeted the approach, the more likely recovery is in your future. You’ll be frustrated to enter a clinic only to find a generalized recovery program because addiction and it’s treatment methods are not one-size-fits-all. Rehab costs can add up quickly so it’s important to make arrangements beforehand so you know what you’re entering into financially and see if there are ways to receive help with payment. While they likely won’t cover it all, many insurance plans will help with at least a portion of the clinic payment and this could be a game changer when it comes to selecting the right program and length of time you’ll want to stay. Be sure to ask if the program you’re interested takes in insurance as well. Some don’t and so you may want to shop around until you find one that does. Furthermore, if you’re employed fulltime, be sure to check your companies handbook for rules regarding medical leave. Some companies may continue to pay your salary during this time but there will be applications and paperwork you’ll need to fill out with Human Resources in order to sure you get it. Clinics will be happy to answer questions about what happens once admitted and how the detox process works. Depending on what drug you or your loved one is addicted to, the withdrawal process can be severe. Withdrawal happens when a person stops taking a drug or substance their body is dependent on. It can result in nausea, vomiting, fever, confusion, and dizziness among other symptoms. Many clinics handle this process differently. 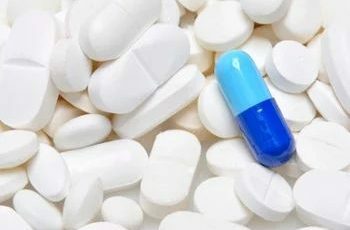 At some treatment centers, there is a weaning process, where the drug is tapered down in order to curb some of the withdrawal symptoms and minimize illness and suffering. Other places force you to stop the drug completely and at once. As you or your loved one embark on the recovery process, it’s important not to put blame on the person with the addiction. Addiction is a disease of the brain, just like any other disease that infiltrates the body. Because many people view drug abuse as a choice, the fact that it’s a disease is often lost and people feel like failures or as though they’ve done something wrong. At the end of the day, the choice to use is yours but it’s imperative to approach healing with the awareness that you will always have a to fight the disease, in order to remain clean. Be gentle and patient with yourself. Although you will hopefully become sober in treatment, keep in mind that your treatment will need to continue and that there is no “cure” for addiction. It is an ongoing process and you will have to treat yourself as an addict forever, even though it will hopefully be as a recovered addict. This awareness is what will keep you on a clean path because you will be implementing the work you learn in rehab long after you’ve checked out. Everyone is different and responds differently to various treatment methods. It’s important to note that not every tool or step will be beneficial for every person. Some may respond to certain things positively and know they can’t remain sober without them, while those same tools may be irrelevant for others. That’s okay. If something isn’t working for you, don’t judge it or get frustrated with yourself or the process. Simply acknowledge that this may not be a powerful tool for you and your recovery and move on to trying something else. 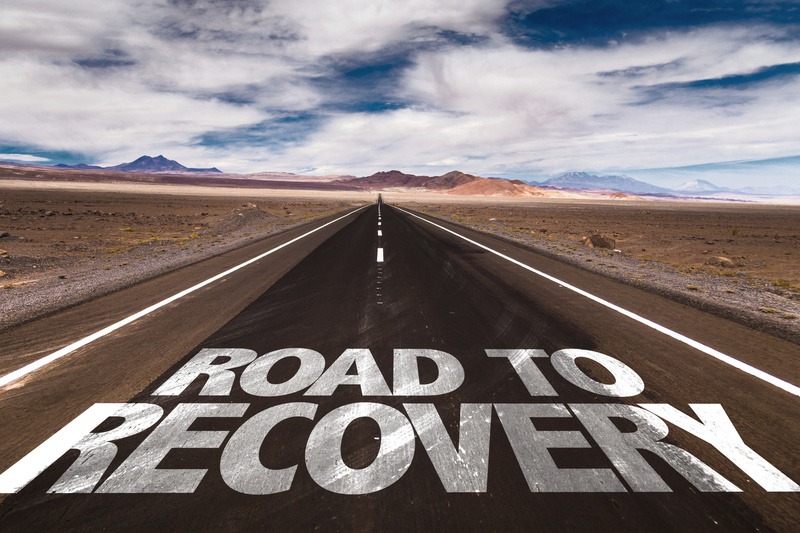 During your time in rehab, you will hopefully make significant strides in your effort toward recovery. It’s the most important and valuable first step but it’s just that, the first step. Many people find the safety and routine of rehab to be comforting and the thing that keeps them on a positive path forward. When this tool is gone and you’re out in the real world, the work you must do to stay sober can become more challenging. You aren’t working with the same counselors or doctors and the group of people you have met in rehab is no longer around. Don’t give up. Knowing the challenges of entering the real world after rehab can prepare you for it so you’re ready to remain sober after you check out. While in treatment, you will be urged in your work to think about what lifestyle changes need to be made once you’re back in the real world. Whatever you were doing before; places you hung out, people you were friends with, etc., clearly wasn’t working to help keep you sober. They will likely have to change or be reconsidered. You’ll need to take inventory of the way you live, the things you do for fun, the people you hang out with and more, in order to determine what can stay and what or who, needs to go. 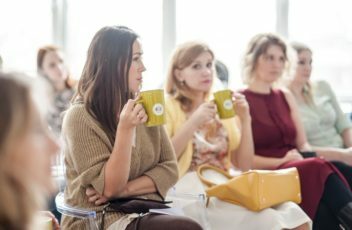 Some of these people and places will be triggers that could challenge your sobriety, so you’ll want to avoid them at all costs once you’re back to your regular life. As we mentioned above, addiction is a disease of the brain. This means that while you may be able to stop using drugs, that drug could possibly be replaced by something else negative. Once they’ve stopped their drug use, many addicts take up smoking. This is a common replacement that is, of course, terrible for you. People may find themselves diving into toxic sexual relationships, excessively gambling, becoming heavy shoppers and more. Addictive behavior can manifest in many ways other than drug use. Keep an eye on your loved one to see if a substitute is taking place. You know you’re getting better but with that, you are losing something that has been with you for some time. Allow yourself to grieve that loss. For many addicts, their drug has become their best friend, their closest confidant and the thing that has allowed them to function for however long they’ve been using. With that loss comes the loss of what people deem as “having fun”. There is often a sense that the fun of life is over now that you’re sober, you’ll never get to feel the way you’ve loved feeling ever again. Grieving this loss is healthy and natural. You are saying a proper goodbye to something that has been a part of you for so long. Grieving it will also help you move on and leave it behind. More likely than not, the people you surrounded yourself with while you were using are not going to be the people you want to be around once sober. Are these the people you partied with? Used with? Even the people who got you the drugs in the first place? While some of these people may be close friends, if they use or were with you while you were using and enabled you, you’ll want to cut ties or at least create a significant distance. It may be hard at first for them to understand but if they love you and are truly supportive or your recovery, they will. If not, you shouldn’t be around them anyway. You are fighting a disease and relapsing is very common. Don’t get down on yourself, blame yourself or believe this is the end of the road for you and you’re doomed to a lifetime of drug use. Take the relapse as a moment to restart; acknowledge the slip-up, seek further treatment, either with rehab or meetings and get back on your path. The longer you dwell on the relapse or beat yourself up about it, the more precious work and time you’re taking away from your recovery. Now that you’ve read all about recovery, you’re ready to take the big first step and enter rehab. Remember that you’re seeking treatment and that is the best thing you can do to take care of yourself. Be patient and kind to yourself and do your best to enter the program with an open mind. If you’d like more information about our various treatment programs, please contact us today and visit our blog for more useful information. The person you love most in this world is an addict. You’re not exactly sure how it happened. But one day you clicked. All the signs you thought were only present in movies, became reality. As much as you urged them to go to rehab- nothing seems to work. And it feels like the more you insist that they go, the stronger the resistance. According to the National Institute on Alcohol Abuse and Alcoholism, 15.1 million adults have alcohol use disorder. 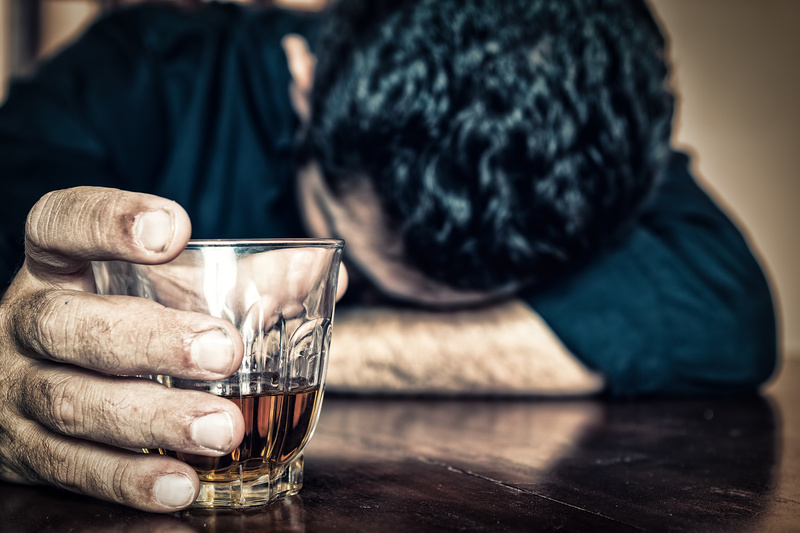 Alcohol use disorder or AUD is the result of heavy drinking that continues over a period of time. You shouldn’t lose hope for your loved one. But if you find it difficult to get them to rehab, here are 10 ways to encourage an alcoholic family member or friend to get treatment. If you haven’t noticed it by now, you’ll soon realize that addicts are really good at denying their addiction. So what do you do when an alcoholic family member refuses to get help? With the help of a lawyer, you’re able to get the right help for an alcoholic family member or friend. After 2011, 38 out of the 50 states made it legally possible to court-order treatment for those who are struggling with alcohol abuse. One of the downsides of these court orders is the lengthy process. Between hiring the right lawyers and attaining the proper documents, you can find yourself waiting a while. But once these documents are processed, you are able to help your family/friend find the help they need. Holding an intervention is extremely helpful when it comes to encouraging an alcoholic family member or friend to go to rehab. It doesn’t necessarily force the struggling family member, but it does provide a sense of pressure. 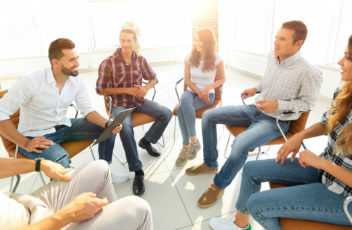 If you’re unfamiliar, an intervention is going to consist of a structured meeting where the friends and family of the alcoholic express what they’ve noticed about the alcoholic family member’s recent behavior. It is not recommended that you perform an intervention with less than 3 people. Because this is a vulnerable process, the alcoholic family member can feel an overwhelming sense of guilt and shame that can, in turn, cause a negative reaction. Keep in mind that interventions come with a certain level of vulnerability. So be certain that only trusted family and friends are present. Have you ever heard the phrase, “Pain is the most effective teacher”? It’s true. Some of life’s most beautiful lessons happen at the end of the messiest crisis’. But let’s be honest. No one ever wants to see their loved one suffer. And watching an alcoholic family member go through this kind life crisis, hurts. But in reality, allowing them to lose their job, get a DUI, or be thrown in jail can really put things into perspective for them. It’s in these moments of involuntary solitude, an alcoholic family member is able to reorder their priorities and gain perspective. Yes, this process is extremely difficult, especially if you’re being asked to sit back and watch. Fortunately, there are support groups that will help family and friends learn how to detach while allowing the crisis to take place. While we recommend that you allow the crisis to happen, we do remind friends and family members not to condone unacceptable behavior. So if you find yourself using verbiage such as “They just had too much to drink” or “He/She just had a rough week at work”- you are enabling the addict to continue their behavior. And if behaviors like this aren’t addressed promptly, you’ll find it get worse as time goes on. The result of accepting unacceptable behavior is abuse. Endless relationships, whether relational or platonic, escalate to physical and narcissistic abuse. It’s important to protect children from this kind of behavior because not only does it put them in danger, but it damages their psyche over the years to come. Once your loved one has agreed to get treatment, there are certain boundaries that you have to set for yourself in order to continue to promote progress for your alcoholic family member. One of these boundaries? Setting realistic expectations. An alcoholic family member will swear to you that they will never drink another ounce of alcohol before, after, and post-treatment. And while you’re naturally inclined to believe them – this sets an unrealistic expectation for the struggling addict. Think about it. If someone has formed an addictive habit, how probable is it that they would leave cold turkey? In order to avoid negative outcomes such as disappointment and shame, encourage your alcohol family member to take it one day at a time. Remind them that you are there for them even during their shortcomings. This step is going to be essential if you want to successfully encourage an alcoholic family member to go to rehab. Unfortunately, a lot of hopeful family members take their loved ones shortcomings to heart. When you begin to think that the addict is personally attacking you or personally lying to you, you’ll begin reacting in ways that are counter-productive to the progression that has been made. Now more than ever you need to be understanding. When someone is truly struggling with addiction, their brain chemistry is bound to changing and the decisions they make aren’t always theirs. Let’s face it. When trying to bring an alcoholic family member to rehab, there are tons of negative emotions that bombard them even if they’re not vocal about it. If your ultimate goal is to get them to a treatment center where they actually complete the process, you’re going to have to leave the past behind. As tempting as it might be to continue to bring up their past mistakes, this could be discouraging. One of the most important steps when successfully trying to get an alcoholic family member to stay in rehab is finding the right treatment options. With so many facilities to choose from, how do you know which one to choose? Here at Pathways, we understand that each patient is different and this is why we offer various treatment options. We care about the patient and customize each treatment plan according to their place of need. Once we’re able to further evaluate the necessities of your alcoholic family member, we’ll come up with a treatment plan that they will be comfortable with. When you fail to plan, you plan to fail. When trying to convince an alcoholic family member to check into rehab, you’re going to notice that explaining the steps in the treatment process is going to play in your favor. Rehab forces the alcoholic to put their full trust into the unknown and this could be extremely frightening. Informing them of your game plan ahead of time can relieve them from this kind of anxiety. Assemble a meeting with your alcoholic family member or friend. Tell them about the pre-treatment, treatment, and post-treatment stages so that they are able to walk into these next stages confidently. One common habit of alcoholics is requesting close friends “not to tell anyone”. While this may seem like you’re gaining a sense of confidence with them, this could be extremely detrimental at the end. One of the hardest battles to go through is helping an alcoholic family member, but thankfully you don’t have to do it alone. Here at Pathways, we provide step-by-step instructions on how to make the recovery process an easy one. Addiction isn’t a choice. So whether you or someone you know currently struggles with substance abuse, let us help. Our team of professionals tailors each program to the patient’s specific need. Have questions about your next step? Be sure to contact us and let us help you get on the right pathway to recovery. What Should I Do If I Have a Sponsor and I’m Still Using? There are many answers to this question and other questions need to be asked before giving a blanket answer. 1 – How is your relationship with your sponsor? – Do you feel that you receive the support you need? Are you able to speak comfortably with your sponsor? If you have answered no to these questions, the solution may be to look for a different sponsor. 2 – Are you attending 12-Step meetings and if so, do you engage and participate with these meetings? The best sponsors in the world can lead by example, but can’t force you to live a life of recovery. If you truly want a life of recovery, you need to engage in the recovery process. 3 – Is your drug/alcohol use a relapse post treatment, or did you by-pass the treatment route and go straight to attending meetings and securing a sponsor? While this works for some, for others, treatment provides a better understanding of how addiction works and a better understanding of why you may have begun using to start. Often, a certain life event or series of events will trigger the initial use. For example, many people self-medicate by using illegal substances because they have other underlying issues. Some drink/drug to forget traumas or other negativity in their lives. Recognizing warning signs is the first step in helping your loved one receive the help that they need, but often times, it’s not so easy to recognize those symptoms. Click here to learn more about warning signs and how you can help.